The catalase enzyme is so critical to our health that it is found in nearly every living organism on the planet that is exposed to oxygen. This antioxidant enzyme can catalyze the conversion of hydrogen peroxide into water and oxygen. Hydrogen peroxide (H2O2) is a by-product of cell metabolism, and while used in the body to fight pathogens and infections, it is harmful to all living organisms. As a result, living organisms need to break down hydrogen peroxide as soon as its usefulness is done. All living organisms produce the catalase enzyme. Catalase has one of the highest turnover rates compared to all other enzymes. One catalase enzyme can change millions of hydrogen peroxide molecules into water and oxygen in just one second. Catalase enzymes protect our cells, counteracting and balancing the continual production of hydrogen peroxide. Catalase also has a secondary function: it uses hydrogen peroxide to turn other toxins, including methanol, ethanol, formaldehyde, formic acid, and nitrite, into harmless compounds. 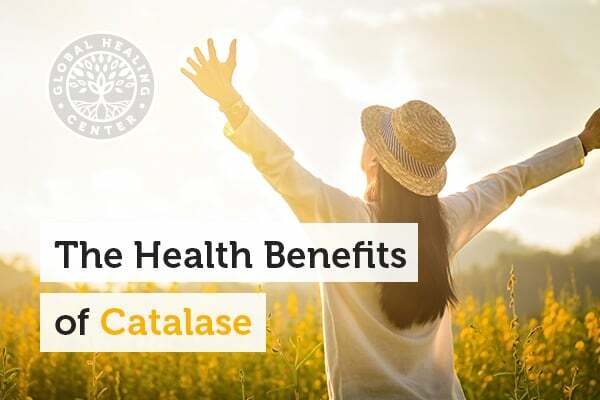 Because of its undeniable, scientifically-proven powerful antioxidant properties, catalase is very beneficial to the organs and body processes. 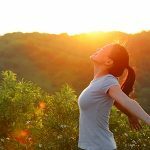 In addition to acting as a super antioxidant, catalase also has the ability to use hydrogen peroxide to oxidize toxins including methanol, ethanol, formic acid, formaldehyde, and nitrite. This type of dual activity makes it a crucial cellular enzyme. The best supplemental source of catalase is the vegetarian form derived from the fermentation process of the fungus Aspergillus niger. Catalases are perhaps the single most efficient enzymes found in the cells of the human body. Catalase has been shown to create a speedy reaction against hydrogen peroxide free radicals, turning them into water and oxygen. Studies show that when infections arise, the body produces more hydrogen peroxide to help fight pathogens and heal wounds. Once the hydrogen peroxide is no longer needed, catalase breaks it down into safe compounds. Catalase is currently being studied for its applications on extending lifespan and vitality. Research scientists from the University of Washington in Seattle and the University of California-Irvine conducted a lab study on rats, augmenting the natural catalase in their bodies. By supplementing with increased catalase, the lifespan of these laboratory rats increased by almost 20% this is the equivalent of nearly 25 human years. Dr. David Sinclair of Harvard Medical School stated in The Scientist Magazine that there is a direct link between the catalase enzyme, free radical damage, and our lifespan. The studies Sinclair commented on showed that free radical damage itself led to aging, and preventing this damage with catalase enzyme may help ward off degenerative diseases. Similarly, studies conducted in Russia also show a correlation between catalase and other antioxidant enzymes and the prolongation of life. Very exciting research from China shows a link between catalase and lowered amounts of fat in lab rats. The study showed that when rats on a high-fat diet, catalase helped normalize their cardiac function. The high-fat diet caused autophagy, which is cell death, but the catalase ameliorated the effects. 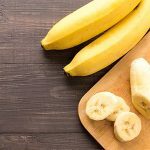 A 2006 study  from the Institute of Cytology and Genetics in Russia found that oxidative stress, accumulation of protein and DNA damage could be reduced in the presence of antioxidant enzymes, including catalase and glutathione in the cytosol and mitochondrial extracts from liver cells of rats. This study also found that dietary supplements for increasing the activity of catalase in the liver mitochondria in rats led to reduced mitochondrial dysfunction and slowed the process of aging in these animals. The Catalase enzyme is measured in the FCC as Baker Units. The FCC notation stands for Foods Chemical Codex and is a division of USP (United States Pharmacopeia). It sets standards for ingredients. 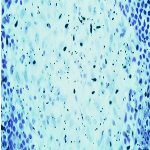 In the case of enzymes, FCC is a standard assay used to accurately determine the activity of enzymes. One Baker Unit is defined as the amount of catalase that will decompose 264 mg of hydrogen peroxide under the conditions of the assay. Where Can I Find the Best Source of Catalase? VeganZyme® contains a 100% vegan form of catalase produced by the natural fermentation process of Aspergillus niger. It comes from all vegetarian, non-GMO sources, is kosher-certified, gluten-free, contains no animal product and is completely suitable for vegetarians and vegans. VeganZyme is the most advanced full-spectrum systemic and digestive enzyme formula in the world and is free of fillers and toxic compounds. This formula contains digestive enzymes, which help digest fats, sugars, proteins, carbohydrates, gluten, fruits and vegetables, cereals, legumes, bran, nuts and seeds, soy, dairy, and all other food sources. 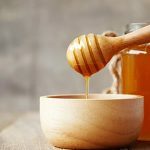 It also provides systemic enzymes to break down mucus, proteins, toxins, and excess clotting factors throughout your body. Bhatia SC. "Enzymes in food industry." In: Food Biotechnology. Boca Raton, FL: CRC Press; 2017. Niethammer P, et al. "A tissue-scale gradient of hydrogen peroxide mediates rapid wound detection in zebrafish." Nature. 2009;459(7249),996–999. Sinitsyna O, et al. "Age-associated changes in oxidative damage and the activity of antioxidant enzymes in rats with inherited overgeneration of free radicals." J Cell Mol Med. 2006;10(1),206-15. Monroe D. "Catalase extends mouse lifespan." The Scientist. 6 May 2005. Schriner SE, et al. "Extension of murine lifespan by overexpression of catalase targeted to mitochondria." Science. 2005;308(5730),1909-11. Liang L. "Antioxidant catalase rescues against high fat diet-induced cardiac dysfunction via an IKKβ-AMPK-dependent regulation of autophagy." Biochim Biophys Acta. 2015;1852(2),343-52.